Maine regulators last week proposed a 15-year phase-out of net metering for current rooftop solar systems and a 10-year limit for new systems. The proposal came as a part of a rulemaking process that the Maine Public Utilities Commission hopes to complete by the end of the year and implement in 2017. “In light of changes in the technology and costs of small renewable generation, particularly solar PV, we felt that opening a rulemaking process to consider changes to the rule was the prudent course of action to ensure that all ratepayers are treated fairly,” Chairman Mark Vannoy said in a statement. The rulemaking also proposes gradually reducing compensation for new solar customers, increasing the size of an eligible customer facility by more than 50%, from 660 kW to 1 MW, and additional consumer protections. House of Representatives Assistant Majority Leader Sara Gideon, a solar proponent who helped craft a compromise solar power bill that was vetoed by Gov. Paul LePage in April, blasted the PUC proposal. The net metering review was automatically triggered by a PUC rule after solar exceeded 1% of Central Maine Power’s installed capacity. 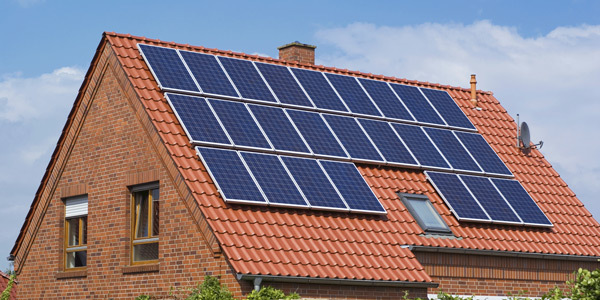 The utility reported solar at 1.04% at the end of 2015. The Maine PUC endorsed a plan in which electric ratepayers would help finance natural gas pipeline expansion. Present and former regulators debated the costs and benefits of rooftop solar and the pros and cons of net metering in a spirited discussion at the NARUC summer conference.